It looks like the upcoming OnePlus 6 will feature a notch after all. OnePlus CEO Carl Pei confirmed the design choice in a recent exclusive interview with The Verge. The company also shared a render (shown below) of the upcoming flagship’s notch with the publication. In the interview, Pei took time to defend notches and address some of the criticism levied against the smartphone industry design practice that is quickly becoming more commonplace. “How big a notch is always depends on your choice as a company,” said Pei, while speaking with The Verge. Pei further said that his company’s notch will be “bigger than the Essential Phone, smaller than the iPhone,” referring specifically to the iPhone X — which was arguably the first major smartphone to feature a notch. Pei told The Verge that the precise measurements for his company’s notch will be 19.616mm x 7.687mm. 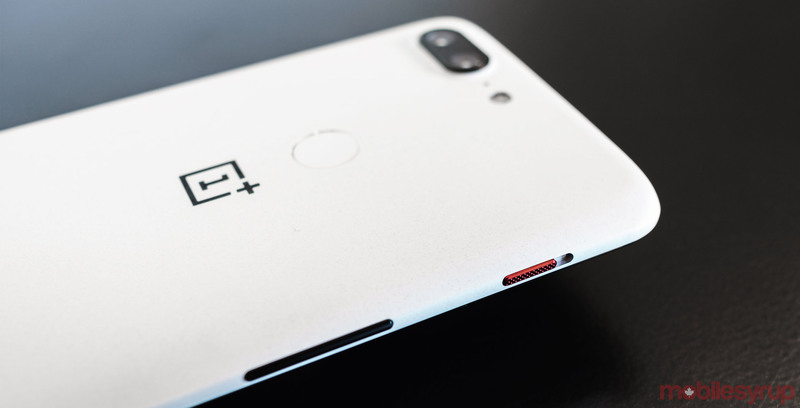 The company is also testing the top 1,000 Google Play Store apps to determine compatibility requirements for the OnePlus 6’s notch. OnePlus will disguise the 6’s notch whenever video plays.